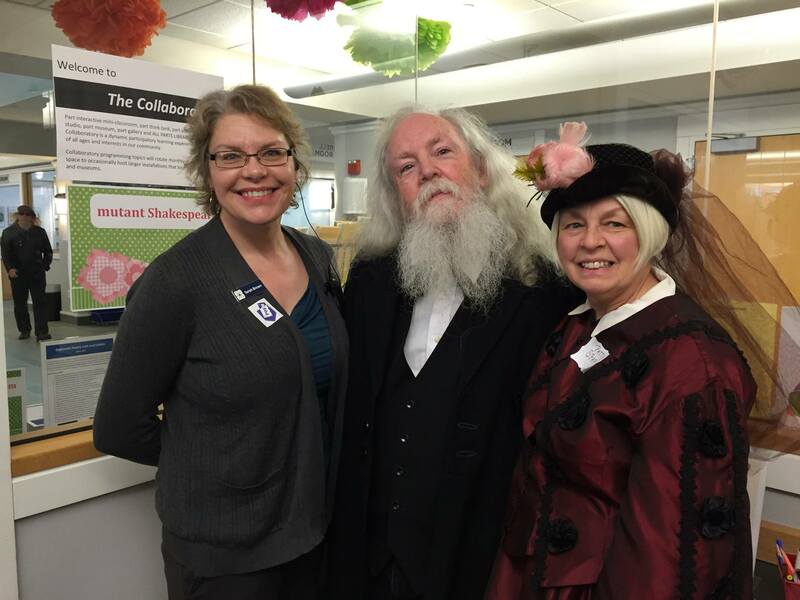 CELEBRATING LONGFELLOW: Poet Gary Lawless (center), dressed as Henry Wadsworth Longfellow, poses with Manager of Adult Services at Curtis Memorial Library Sarah Brown and poet Patty Sparks during Longfellow Days. This month, poet and co-owner of Gulf of Maine Books Gary Lawless will once again don his Henry Wadsworth Longfellow costume and roam the town reciting poetry to passersby. 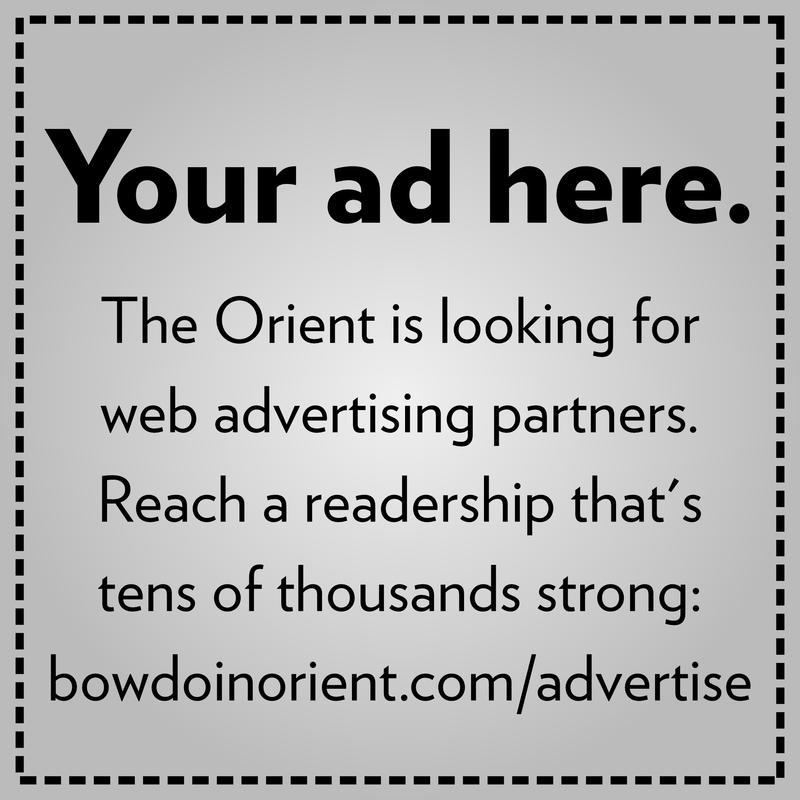 This tradition is just one aspect of Longfellow Days, a series of events now in its 14th year, which spans Longfellow’s birth month and involves members of both the Brunswick and Bowdoin communities. Amy Waterman ’76 and Maryli Tiemann are responsible for organizing the annual celebration with the support of the Brunswick Downtown Association, the College, the Brunswick Inn, Hannaford and the Nathaniel Davis Fund. 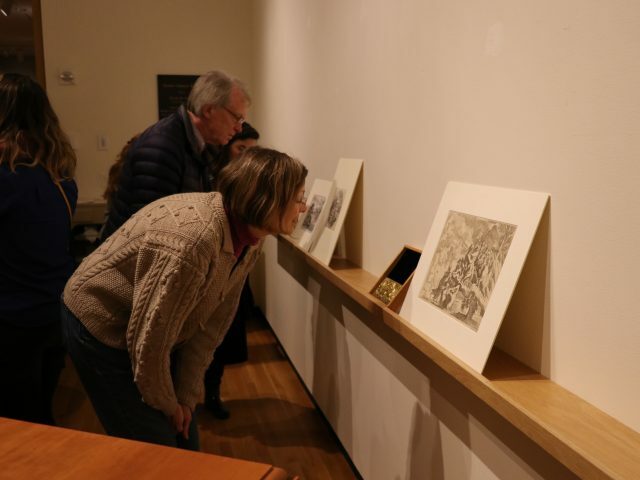 Community members can enjoy a variety of free programming throughout the month, from poetry readings to movie screenings, culminating in a party in honor of the late literary figure’s 211th birthday. This year’s theme is “The Heart Hath Its Own Memory,” inspired by the poem Longfellow wrote for his 50th class reunion titled “Morituri Salutamus.” Lawless will lead a reading and discussion of the poem at the Brunswick Inn on February 21. Henry Wadsworth Longfellow graduated in the class of 1825, along with Nathaniel Hawthorne. He became a professor at the College in 1829. Longfellow published six foreign language books while teaching at Bowdoin. In 1837, he began as Smith Professor of Modern Languages at Harvard University. Longfellow retired from teaching in 1854 and spent the rest of his life writing. Longfellow is widely known as the author of such poems as “Paul Revere’s Ride.” For Lawless, the annual celebration is a chance to recognize the full extent of Longfellow’s literary contributions. 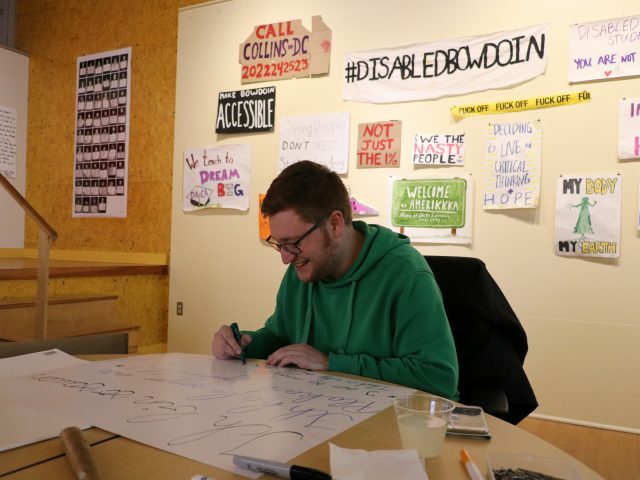 According to Waterman, bringing together town and campus is a major goal of Longfellow Days, and she encourages students to attend. 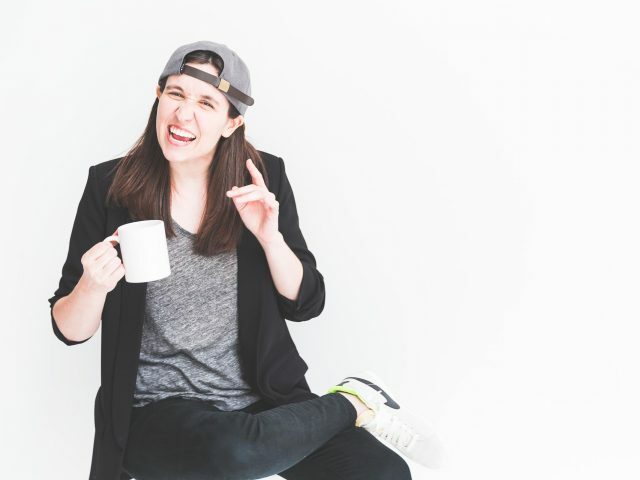 “I’m a Bowdoin grad and so I love both campus and the town, and anything that can unite them is exciting and rewarding,” said Waterman. Professor of Cinema Studies Tricia Welsch echoed this sentiment. 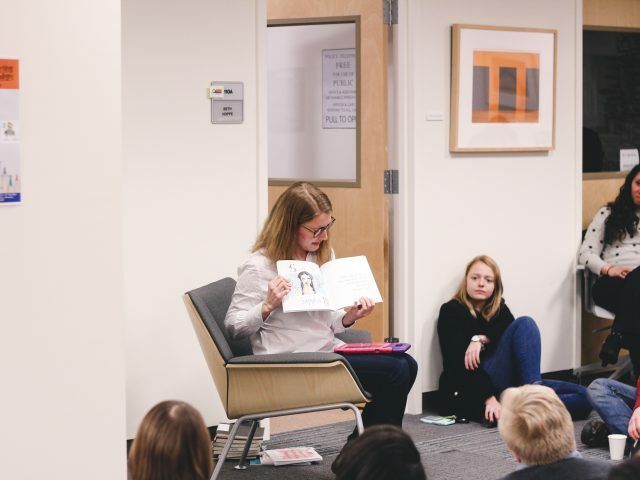 In keeping with this year’s theme of nostalgia, Welsch will give a lecture called “The Charm of Reading and Re-Reading” on February 14 about the book she is currently writing, a series of essays on reading, which explores the topic of re-reading formative books from her childhood. Longfellow Days will kick off at Curtis Memorial Library this Sunday at 1 p.m. with a poetry reading by three local poets—the first in a series of four Coursen Readings, which allow poets who have been featured in the past to pass the mantle to new poets of their choice.